Please note: you will require permission to create new System Users on Bromcom. From the main Menu, locate the Setup module. Under System Security go to System Users. Click New to create a new user. Select the Create a new user option. Enter a First Name and Last Name. Make the username "Assembly.User" and create a password. We strongly recommend you use a secure password containing at least 8 characters with 1 uppercase letter and 1 number. Deselect the User must change password at next logon box. Ensure the user has been assigned to the Third Party role. From the main menu, locate the Setup module again. 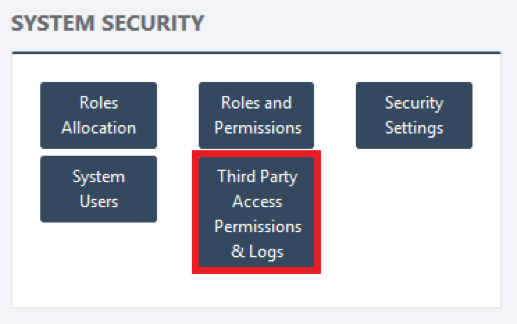 Under System Security go to Third Party Access Permissions & Logs. 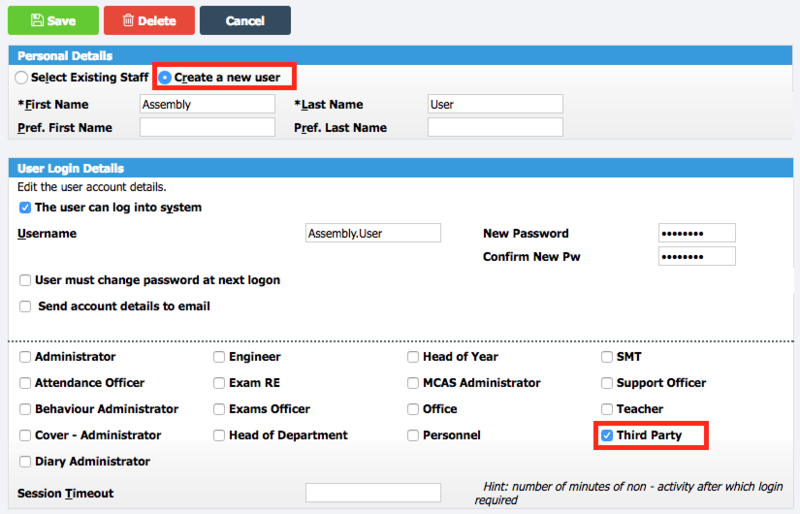 From the Third Party Account dropdown menu, select the Assembly user account. 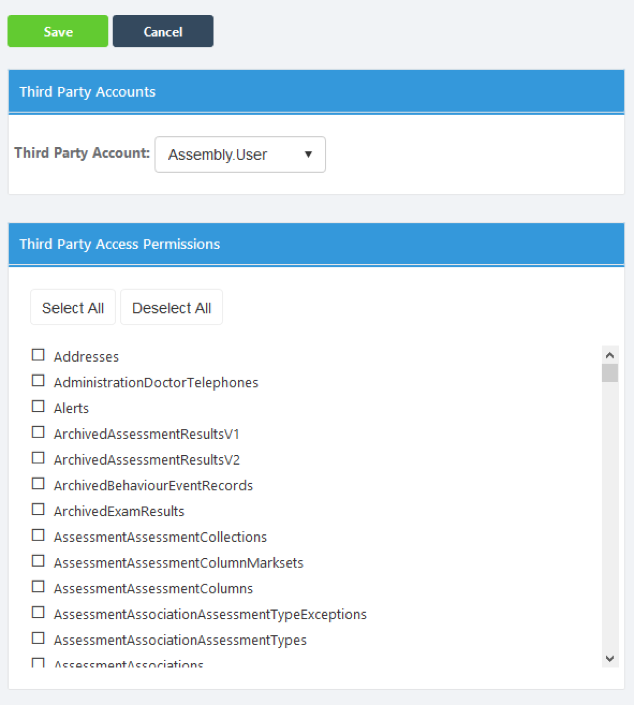 Under Third Party Access Permissions you can grant access to all permissions, we will still only extract the data that you authorise on Assembly. 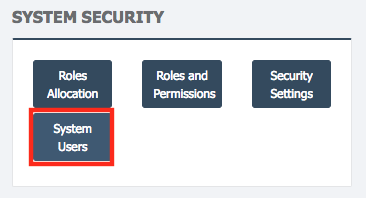 Alternatively, you can consult our guide for which permissions to assign to your Bromcom user, given the scopes of data that the application you're using needs. You can now enter these logon credentials on the Assembly Platform. To return to the Bromcom setup guide click here.